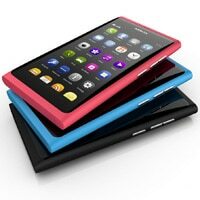 The Nokia N9 MeeGo-based smartphone has now begun shipping to customers and stores. “Pre-orders for the Nokia N9 have already started in many countries, and people’s response towards the device has been extremely positive,” the Nokia Conversations blog reports. The Nokia N9 is available in three colours – black, cyan and magenta. The 16GB version has an estimated retail price of €480 (US$652) while the 64GB option carries a price tag of €560 (US$761), before taxes or network subsidies.